U.S. National Sled Hockey Team captain Josh Pauls, a two-time Paralympic gold medalist, was recently named one of six special ambassadors to go along with 31 team ambassadors for the NHL’s Hockey is for Everyone month this February. The campaign reaffirms that the official policy of the sport is one of inclusion on the ice, in the locker rooms and in the stands. Around the hockey community, leagues and teams will celebrate the game’s diversity and commitment to respect for all. Part of the month-long celebration also includes members of the 2018 U.S. Paralympic Sled Hockey Team attending the Chicago Blackhawks game against the Anaheim Ducks as part of the Blackhawks Hockey Is For Everyone night tonight (Feb. 15). As an ambassador, Pauls will help the American hockey community reinforce the sports’ policy through a variety of community and media initiatives. Throughout the month leading up to the Paralympic Winter Games, Pauls will be serving as an advocate for underrepresented, marginalized and disadvantaged communities in the sport. Pauls found hockey himself at an early age, growing up in New Jersey where he had hopes of becoming the first NHL goalie with no legs. Born without tibia bones, he had both legs amputated at 10 months old and in 2002 joined his first local team, the New York Rangers Sled Hockey Club. Quickly moving through the ranks, Pauls was invited to his first USA Hockey Development Camp in 2007 and the following year made his U.S. National Sled Hockey Team debut. In 2010, at age 17, he was the youngest member of the gold-medal winning squad at the 2010 Paralympic Winter Games in Vancouver. Four years later, he and Team USA repeated as gold medalists by topping host Russia, 1-0, at the 2014 Paralympic Winter Games in Sochi. Now, as he gears up for his third Paralympics and first as Team USA’s captain, Pauls is looking to the future to ensure he’s working to leave a legacy on the sport. Pauls used an example off the ice to portray that sought-after integration for sled hockey in particular. And for those who aren’t familiar with sled hockey specifically, he has the perfect answer for them to find out more. “Google is your friend,” Pauls said. “That’s definitely a great first step. Google ‘sled hockey,’ and then type in a location to see what’s available around you. Residing in St. Louis, Pauls assists the DASA St. Louis Blues, a local sled hockey program he also skates for, by helping kids get on the ice and try out a sled for the first time in hopes of inspiring the next generation of athletes. What makes Pauls such an ideal fit as an ambassador is that his efforts extend beyond sled hockey. The two-time Paralympic gold medalist and three-time world champion (2009, 2012, 2015), has also been involved in the coaching ranks with able-bodied hockey. Aside from coaching a high school team the last couple of years in St. Louis, Pauls has also served as a guest camp coach with USA Hockey’s National Team Development Program in Plymouth, Michigan. He’s eager to use his decade of experience in the sport to ensure everyone is accounted for. And while his personal hope is to one day become a hockey coach when his playing career concludes, his ultimate goal is to make sure the hockey community family continues to grow and be welcoming to everyone. 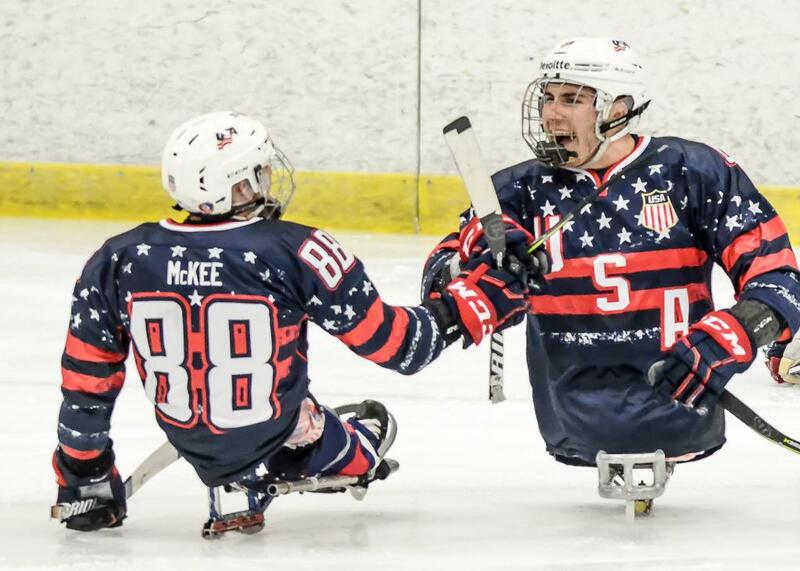 Yesterday, USA Hockey announced a pair of benefit games between the 2017-18 U.S. National Sled Hockey Team and 2017-18 U.S. Development Sled Hockey Team that will take place Feb. 23-24 at West Meadows Ice Arena in Rolling Meadows, Illinois. In addition, with the 2018 U.S. Paralympic Sled Hockey Team training in Chicago ahead of the 2018 Paralympic Winter Games, members of Team USA will attend the Chicago Blackhawks game against the Anaheim Ducks at the United Center this Thursday (Feb. 15). The benefit games, both set for 8 p.m. 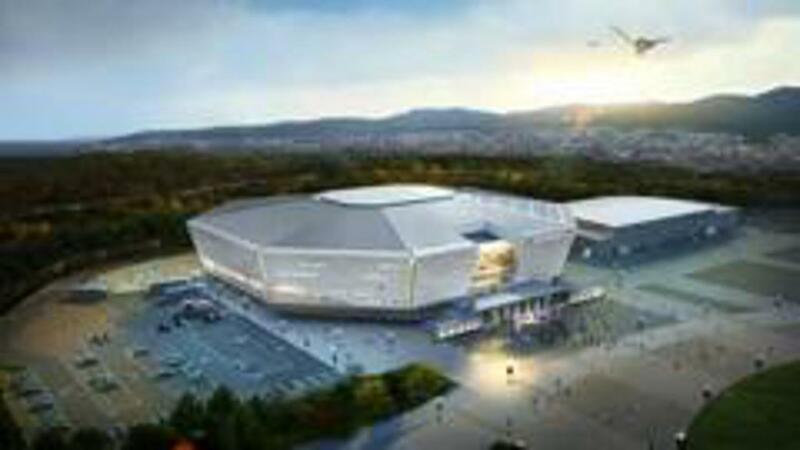 ET faceoffs, will have tickets on sale for $5 while kids under six will receive free admission. Tickets are available for purchase at West Meadows Ice Arena. All game proceeds will go towards the 2018 U.S. Paralympic Sled Hockey Team to help cover the cost of their families attending the Paralympic Winter Games in PyeongChang, South Korea. 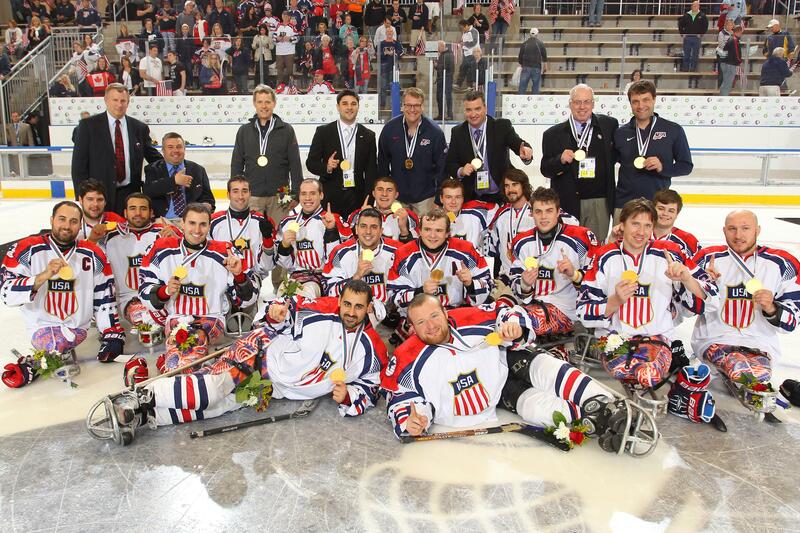 Individuals interested in donating to the 2018 U.S. Paralympic Sled Hockey Team can do so here or by contacting Tamara Tranter at The USA Hockey Foundation via phone at 719.538.1164.